Few biographies filled me with anticipation as this one, for I consider myself a student of Napoleon Hill's work. "The Laws of Success" and "Think and Grow Rich" are references I often refer back to. Hill is considered by many to be the godfather of the modern day self help genre. Some of the world's best known speakers and authors credit their success to his writing including, Anthony Robbins, Jack Canfield, Earl Nightingale and Stephen Covey. If you can attribute, even in part, your success to understanding and practicing any of these concepts, you owe a great deal of gratitude to Napoleon Hill. The secondary source you learned from may not have credited Hill, either intentionally or unintentionally, but he deserves credit nonetheless. To say Hill was flawed would be a gross understatement. Many will be surprised to learn he did not publish "The Laws of Success" until he hit rock bottom in his mid-forties. Before this, he experienced very little success and seldom had a steady source of income. Much of his hardship was self-inflicted due to a habit of jumping from one ill-advised venture to the next with little forethought or planning. Those ventures with the potential of producing results were often abandoned to pursue others. He spent years going from city to city in search of his break, while sending letters to his wife assuring her his latest opportunity would bring the riches he always promised. While Napoleon chased his dreams, his wife borrowed money from her family to take care of her and her sons. I found myself feeling sorry for him at times and angry at others while thinking, how could someone so brilliant have been so reckless? The very success principles so many benefit from today, were of little use to Hill throughout most of his life. By his mid-forties, years of unforced errors and poor judgment had caught up to him. In addition to being desolate and broke, he was forced into hiding by prohibition gangsters he attempted to expose in Canton, Ohio. He would spend over a year in isolation fearing for his life. By now, his marriage of more than twenty years was strained and his relationship with his sons was non-existent. "Out of my difficulties, which were burdensome enough up to this point, grew another which seemed more painful than all of the others combined. It was the realization that I had spent the better portion of my life in chasing a rainbow, searching hither and yon for the causes of success, but finding myself now more helpless than any of the thousands I had judged as being failures. This thought was extremely humiliating. I had lectured all over the country ... presuming to tell others how to apply the principles of success while here I was, unable to apply them myself. I was sure I could never again face the world with a feeling of confidence. Every time I looked at myself in a mirror I noticed an expression of self-contempt on my face...I had begun to place myself in the category of charlatans who offer others a remedy for failure which they, themselves cannot successfully apply..."
Imagine the man who would later publish one of the best selling success books of all time feeling this way after he had already written "The Laws of Success." "Then, gradually, Hill's depression bottomed out. A new fear began crowding out his feelings of hopelessness and despair: the fear that this was all there was, that unless he made something happen, he would live out the rest of his years this way. He had not found a safe haven from life's hazards, he had simply quit living altogether. Deep within himself he could not accept life on these terms, and he began struggling to find his way back." After spending hours one evening searching his mind for a solution, he remembered "The Laws of Success," which he had spent over two decades compiling. He decided in an instant to go to Philadelphia the next day to get his work published. He realized his golden ticket out of misery had been in his possession the entire time. In classic Napoleon Hill style, he leaped head first without a clear plan in mind. Not only did he not know a single publisher in Philadelphia, he did not have enough money for the trip. Like so many times before, he borrowed money from relatives. After several weeks of effort and a slew of rejections from publishers afraid to take a financial risk on Hill, he convinced a Connecticut publisher to finance the project. They worked out an agreement in their first meeting, and Hill received an immediate advance on royalties. Hill was not done yet. 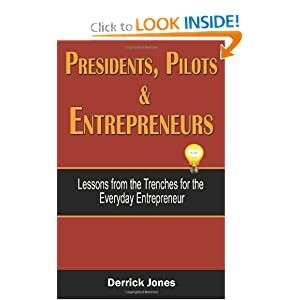 He secured endorsements for "The Laws of Success" from the likes of Thomas Edison, Henry Ford and former presidents Woodrow Wilson and William H. Taft. Not only did this boost Hill's confidence, but also gave him legitimacy. The eight volume set of "The Laws of Success" was published in early 1928 and became an instant hit producing royalty checks in excess of $2500 per month, more than $31,000 in today's value. Hill was finally able to give his wife the lavish life style he always promised. He purchased a spacious estate, an expensive Rolls Royce and had cash to pursue other business ideas. The success also resulted in multiple offers for jobs with steady income. He turned away from all of them. Unfortunately, Hill's success would be short lived. A combination of the stock market crash of 1929, which he ignored as a minor blip, and overextending himself financially, put him and his family in dire straits once again. By the fall of 1930, royalty checks stopped coming and unforgiving debt collectors lined up to take a bite out Napoleon's backside. Soon he would be worse off than before, for being broke is one thing. Being broke and owing creditors is quite another. Napoleon would live out the rest of the days of the great depression attempting one business venture after another, usually related to inspirational publishing and writing projects. However, the American public was not in the mood for inspirational literature. A break came when the Roosevelt administration called on Hill to be a speechwriter and advisor based on a recommendation from Congressman Jennings Randolph, an admirer of Napoleon's work. He accepted the offer but refused payment for his services, despite having a wife and three sons to support. This decision was the final straw for his wife. For their entire married life, she was the ever-supportive spouse, backing all of his ideas, defending him against criticism and often borrowing money from her family to support her and her boys. Not this time. She decided divorce was the best course of action. Making matters worse, Hill's own father helped her with the divorce because he too had grown tired of his son's poor decisions and failure to care for his family. Now not only was Hill broke, he was completely alone and a total failure by his own standards. Yet, lightening would strike again. As America pulled itself out of the great depression, Hill returned to the lecture circuit where he met his second wife. With her support and persistence, he wrote and published the crown jewel of success literature "Think and Grow Rich." The rest, as they say, is history. Well, not quite. Large royalty checks began flowing in again as "Think and Grow Rich" became an even bigger hit than "The Laws of Success." Hill and his young wife wasted no time spending more than they earned (a clear violation of Hill's own principles). Not long after, she duped him out of the royalties of all of his works, sold everything they owned and left him penniless. Hill was 56 years old and once again broke and without a source of income. Hill later told friends about this difficult period: "I walked out of that marriage with nothing but the shirt on my back and my battered old typewriter. I lost everything. Millions. But it was worth it just to be rid of her." With nowhere left to turn, he asked his first wife to take him back, but she rejected him outright. She was no longer the starry eyed girl who once worshipped the ground he walked on. Hill left hat in hand with nowhere to go. Not even his own sons wanted anything to do with him. Despite bottoming out once again, he went to work on plans for his next act. He headed to South Carolina for a fresh start. A businessman by the name of William Jacobs recruited Hill to develop a new self help course and a series of lectures that would be delivered to schools, towns and factories as well as to attract investment from successful companies in the north. Jacobs provided Hill with plush living quarters to begin his work. The place of his typewriter overlooked a vast landscape, where he went right to work on doing what he did best. With a combination of Hill's dedication to his work and Jacobs’s resources and influence, it did not take long before Hill grew in popularity and developed quite a following in the region. Unfortunately, Hill would find himself out of work again because of America's entry into World War II. Suddenly, there were no students for his courses as they shipped off to war. To make matters worse, paper rations made it impossible for his latest work to be distributed. However, "Think and Grow Rich" saved the day once more as another influential business tycoon called on Hill for help. One of the managers for R. G. LeTourneau credited his success at one of LeTourneau's manufacturing plants with what he learned from "Think and Grow Rich." While other plants experienced unrest with union organizers, this one continued to thrive with an enthusiastic and committed workforce. Based on these results alone, LeTourneau recruited Hill as a consultant. Although his correspondence course became a sudden casualty of the war, Hill used the material to train LeTourneau's plant managers. The training program expanded to all layers of employees from supervisors and foreman to line workers. The result was a complete turnaround of the company, which led to widespread recognition and overwhelming success. For Hill, he now had a large scale living example of the validity of his success principles. During this period, he married his third wife, Annie Lou, who supplied the much needed balance and forethought Napoleon often lacked. Whenever he wanted to jump head first into a situation, she stopped him and asked for details. Where the plan lacked, she helped fill in the gaps. She also protected him from the unscrupulous individuals who often found Hill to be an easy mark. Unlike his first wife, more than just providing support, Annie Lou held him to a higher standard and insisted on accountability. As things wound down with LeTourneau, he came up with another plan. Through research, Napoleon learned "Think and Grow Rich" was wildly popular in Los Angeles, with one library keeping seventy copies in stock to keep up with demand. What better location to hit the lecture circuit? Although he no longer held royalty rights, he was still the author of this groundbreaking work and intended to use this to his advantage. It was 1943 and Hill was fifty-nine years old. He and Annie set out for Los Angeles, which would prove to be one of the best decisions of his life. His success was near instant as eager students crowded lecture halls. It seemed he finally hit his stride, experiencing one success after another. He was even given an honorary doctorate from Pacific International University, who also asked him to head their Department of Industrial Philosophy. This move added to his credibility and made him more popular than ever. Not one to wallow in the complacency of success, Hill started a weekly radio program. This helped spread his message beyond his local surroundings. This led to more speaking requests, book deals and consulting services. For the first time in his life, Hill was on a clear winning streak and able to live off of his name and the popularity of his books. How to earn a living would never be a problem again. By 1949 and at the age of sixty-five, Hill decided to scale back his activities in order to spend more time with his wife. He decided he would give up the radio program, continue writing primarily as a hobby, and take fewer speaking engagements. Unbeknownst to Hill, his biggest act was yet to come. Hill met W. Clement Stone, a long time admirer who credited Hill's "Think and Grow Rich" with propelling his insurance business to a thirty million dollar empire. Stone went so far as to make "Think and Grow Rich" required reading for all of his salespeople. Stone talked Hill out of retirement to spread the gospel of his success principles to even larger audiences. Hill was unable to resist. With Stone's vast financial empire and resources, Hill was offered a once in a lifetime opportunity to spread his philosophy in a way he never imagined. Stone agreed to manage the entire operation, leaving Hill to write and lecture. Together they produced books, correspondence programs and documentary films extolling Hill's success philosophy. The relationship between the two proved to be the quintessential example of Hill's mastermind alliance principle. Over the next 10 years, Hill and Stone grew the Napoleon Hill brand and his success philosophy into a movement that spread beyond the shores of America. Perhaps many of us would not know as much about Napoleon Hill's work had it not been for this relationship. In 1962, nearing the age of eighty, Hill created The Napoleon Hill Foundation, which still exists today. He continued lecturing at a vigorous pace all across the country. Even in old age, Hill showed no signs of slowing down. Those close to him said he always looked ten to fifteen years younger than his actual age, due in large part to the one principle he consistently followed throughout his life. He kept to a strict diet and exercise regimen. What struck me most about Napoleon Hill's story is, despite his brilliance and principles for success, he barely eked out a living for most of his life. Yet, countless others benefitted from his work. While he preached the gospel of saving a percentage of earnings, he spent frivolously. While he spoke of having a pleasing personality as one of the keys to success, he was known to be abrasive and hard to get along with. Even Stone admitted Hill could be difficult if others did not see things his way. I was also surprised at how Hill's life frightened me. He had many opportunities to accept comfortable, well paying jobs. Yet, he never remained in those positions for long or rejected them altogether. He always longed for something more, to the point he could not help but rush head first into risky propositions without much concern for himself or his family. Why is this so frightening? Because this instinct bares a striking resemblance to many entrepreneurs I know, myself included. Hill achieved his definite chief aim, but not before going through a lifetime of tragedy. Must we endure our own lifetime of tragedy to achieve our highest ideals? Are we somehow predisposed to being our own worst enemies, unable to benefit from our own advice? Are there lessons we can learn from Napoleon's story to prevent similar unforced errors? Or will there always be another rainbow just around the corner waiting to seduce us? Playing it safe is not an option on the list. Along with relentless effort, the journey also requires repeated failures, constant ridicule, public humiliation and sometimes personal loss. In some cases, even after going through so much pain, the aim is not achieved until long after death. How far are you willing to go and how much are you willing to sacrifice? There is the likelihood of being so blinded by our pursuits that we are unable to prevent significant loss, even in relationships. Though I confidently say to myself, Nah I don't think so, I suspect Napoleon Hill thought the same thing.